Sony Ericsson Xperia Mini Pro, intended as a gadget phones with the capability message the fastest. Xperia Mini Pro is powered by an "Qualcomm Snapdragon" 1GHz and Android 2.3 Gingerbread. 3-inch touch screen is scratch resistant and hassupported multi-touch capability. which is not less cool, gadget Reality technology has been integrated Mobile Display with BraviaEngine and 720p HD video recording. Latest User Interface allows up to 16 applications simultaneously appear on the home screen. 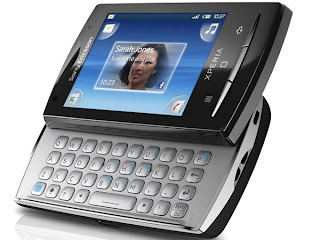 Sony Ericsson also embedded a special Facebook application was made for the Xperia. 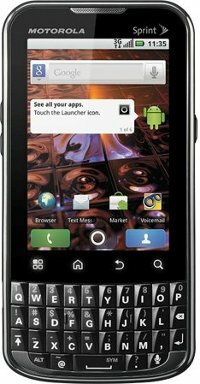 Sony Ericsson Xperia Mini Pro uses a slideout QWERTY keyboard with additional intelligent functions areintroduced as well as Type & Send Smart Keyboard, but it also has pre-installed Office Suite and McAfee. Samsung Droid Charge, included within 4G LTE (smartphones), the advantages possessed "Samsung Droid Charge" is a mobile hotspot embedded in this gadget is able to share with a maximum of 10 connections 4G gadgets wifi or 3G connection with amaximum of 5 wifi gadgets. Droid Charge uses AMOLED display Super Plus 4.3 inch, the main 8MP camera with LED flash and a1.3 MP camera chat. Processors used is 1 GHz and Andriod 2.2,web browser already supports HTML 5 and the Adobe FlashPlayer.